Just thought I’d give you something more pleasing to look at than a photo of my chest with tubes hanging out (of course, you can still see this if you continue to read the previous post, but at least it won’t be front and center). These were taken the other day. 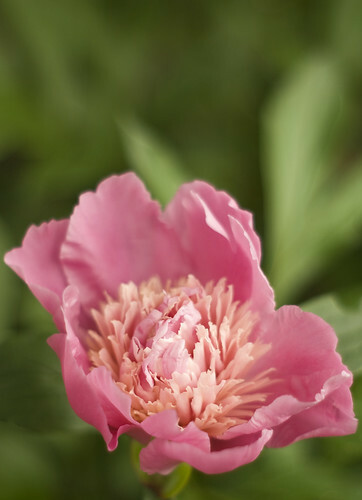 It’s peony season in our yard right now. 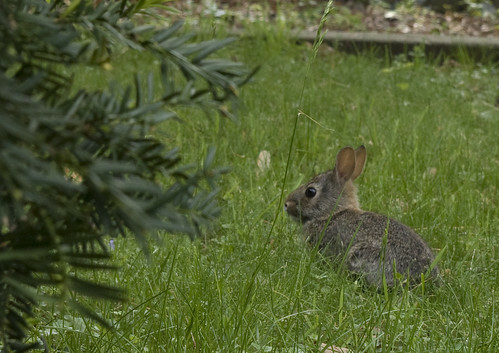 It’s also round #2 of bunny season in our yard. I did my best to sneak up on this little guy without startling him/her too much. I was successful only long enough to snap the picture, and then all that was visible was a little white cotton ball disappearing into the bushes. Oh but what a great pic you got! Bunnies are tough! They run so fast! 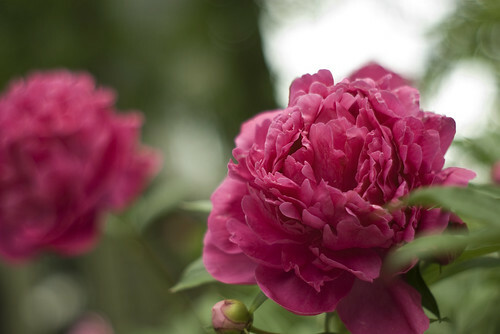 Those peonies are so beautiful! They are one of my favorite flowers, besides tulips and lilacs. I love all the wildlife you have coming through your yard. We’ll keep you in our thoughts as you go in on Monday to get your 2nd round of consolidation. Keep us updated. Beautiful pictures! Love that shade of pink. Keeping you in my thoughts. Haven’t gone the cancer route but have had many IV’s, stitches, staples, subclavians, etc. and agree with you — a complete wash it totally under-rated! Here’s to a good soak soon!